The MONTANA WOLF HUNTING season is in full swing. FWP biologists report that hunters have killed 87 WOLVES across the state. MONTANA does not have a quota this year, except in two regions near Glacier (WMU 110) and Yellowstone (WMU 316) National Parks. To report the harvest of a WOLF, please call the Harvest Reporting line at 1-877-FWP-WILD (1-877-397-9453). 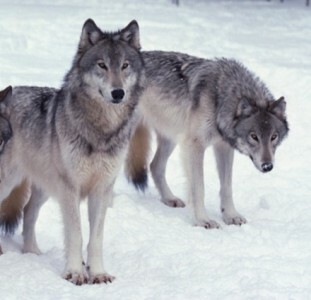 TheTRAPPING season will open on December 15th and theWOLF HUNTING/TRAPPING season will close on February 28, 2013.